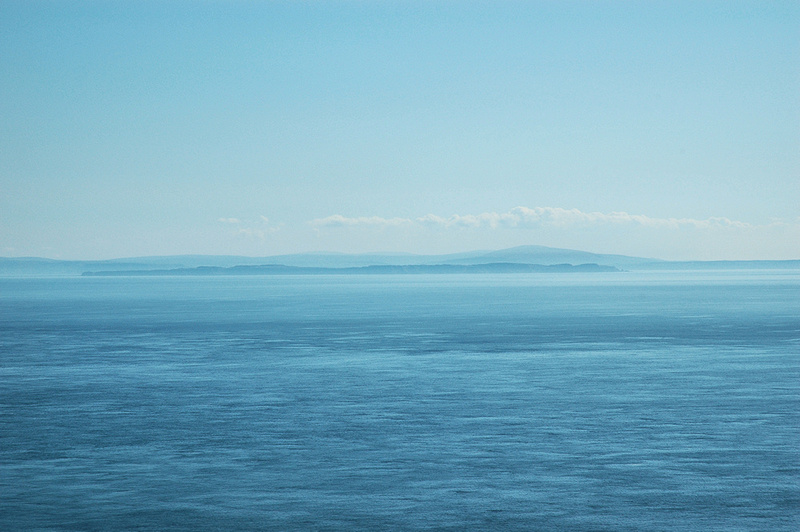 A view from Islay across the North Channel towards Ireland. If memory serves me right this was from somewhere on The Oa. I believe the island in front is probably Rathlin Island, behind it would be Ballycastle in Northern Ireland. This entry was posted in Landscape, Repost, Sunny Weather and tagged Ireland, North Channel, The Oa by Armin Grewe. Bookmark the permalink. Hope to go to Islay one day !! I’ve seen a few pictures of Islay from Rathlin or other places in the area, think there might be a link or two on my other Islay blog. What a beautiful picture to start the day with. I have been to Islay (yeah!!) but not yet to Ireland. I would very much like to sail from Islay to Ireland one day. Unfortunately I’m not aware of anyone offering sailing from Islay to Ireland. If you find enough people it is possible to go over on a RIB though, I believe Islay Seafari offer it. On our last trip back from Islay, Freerk met a woman who knows someone who does cross over to Ireland. But I can’t remember the details (name, what kind of boat, costs, etc. ) but I do remember where I wrote it down.